The Southern Senior Cup is a tournament in which the nine southern states in the USTA Southern Section form “all star” teams to compete against each other in five age divisions (i.e. 35, 45, 55, 65, 75,). There are separate divisions for men and women. However, the tournament does not offer mixed doubles. The format for each age group team match is two singles and one doubles, except for the women’s 75s age group which only plays one singles. There are various awards presented to the winners. 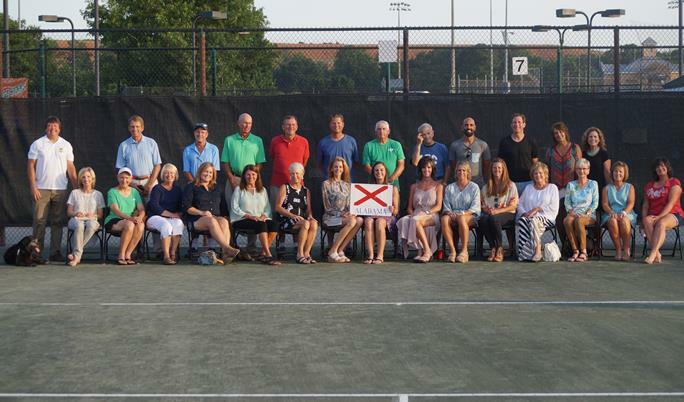 Please contact Jerrie Burns (jerriec@alabamata.com) at USTA Alabama if you wish to be considered for the Alabama Senior Cup team. Men's 75 Championship: NC def. TN, 3-0.